Tommy’s on Coventry is a Cleveland institution. It has been in business since the 1970s (even the Coventry fire in 1988 couldn’t shut it down) and many of its menu items are named after its regulars who ordered them. It isn’t haute cuisine, but it doesn’t claim to be. Instead, it is a good place for vegans, vegetarians, and omnivores to get together. Because it specifies vegan, gluten-free, etc. on the menu it is a great place for those with allergies or dietary issues. They have a separate gluten-free fryer and strict gluten-free kitchen practices, so I can eat here with my mother without worrying that she is going to get sick afterwards. It’s also great if you are on a juice fast and still want to get out and meet your friends. The food can be a little bland depending on what you order, so be p repared to season it. If there is a bit of a crowd waiting be sure to add your name to the clipboard on the counter and wait for them to call you. The place stretches pretty far back, so the wait isn’t too obnoxious. Tommy’s is famous for its milkshakes. They are rich and smooth with a wide variety of flavors. I can vouch for the chocolate and chocolate mint milkshakes, but my favorite is the banana – made with fresh bananas and vanilla ice cream. One of my friends swears by their chocolate peanut butter milkshake. 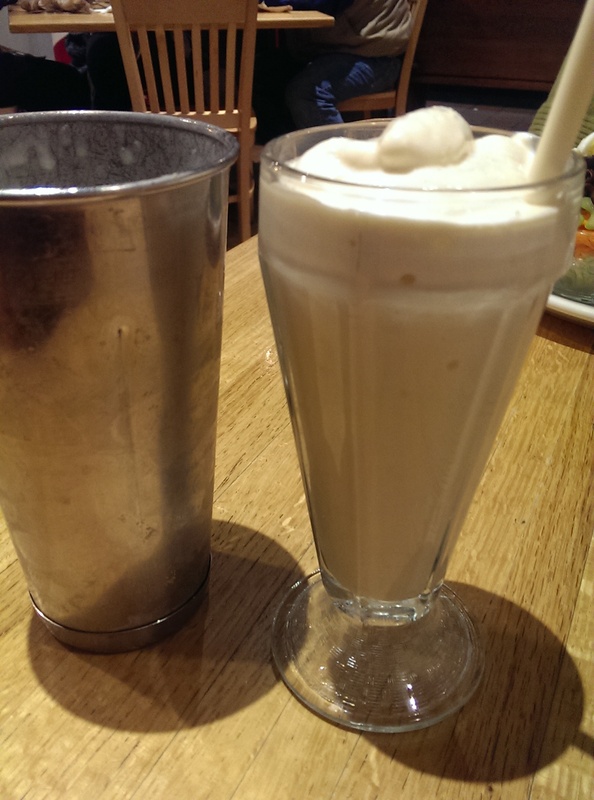 It’s best to order them in the restaurant, because you get lots of milkshake with the glass and the metal mixer full. If you order one to go you just get a small plastic cup sealed with plastic. I go to Tommy’s for comfort food. 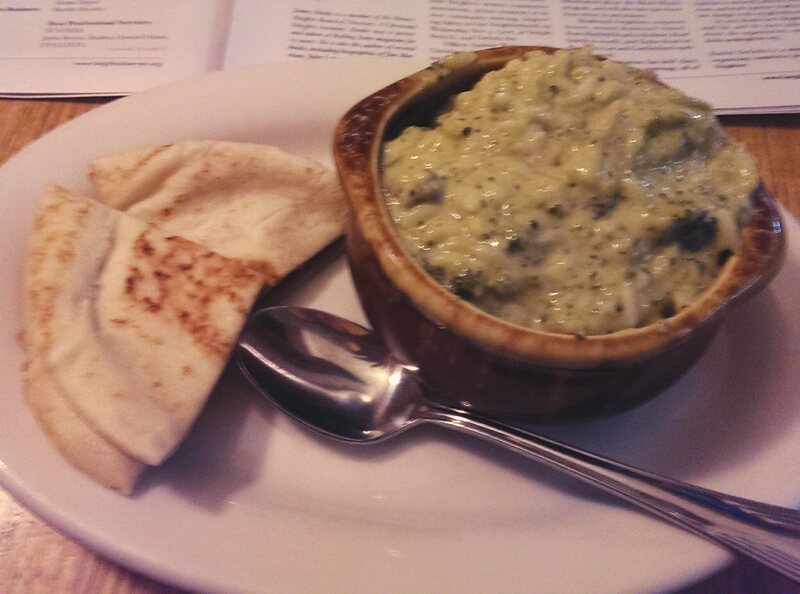 My go to comfort food is the broccoli risso. It’s a casserole with broccoli, rice, mushrooms, and cheese. It’s served in a bowl with a warm piece of pita. You can also order a cup if you don’t want a big bowl of it or want it as a side. It is just warm, comforting goodness. I also absolutely love Tommy’s French onion soup. It is vegetarian and made with shitake mushrooms, onions, kombu, veggie broth, tamari, garlic, a slice of French bread and topped with Swiss cheese. I adore it and order it almost every time I go. I’m not a big fan of the pita sandwiches or escarole pies, but that’s a personal choice. They certainly are unique and come with a wide variety of fillings. My sister loves the Capetown spinach pie with cheese, raisins and mushrooms. I usually stick with the basics – plain grilled cheese (Judy), Sharpy Burger, burgers, grilled chicken breast sandwich or any of their delicious salads (pro tip: deconstruct it on the plate because you won’t be able to eat it in the heaping bowl it comes in). 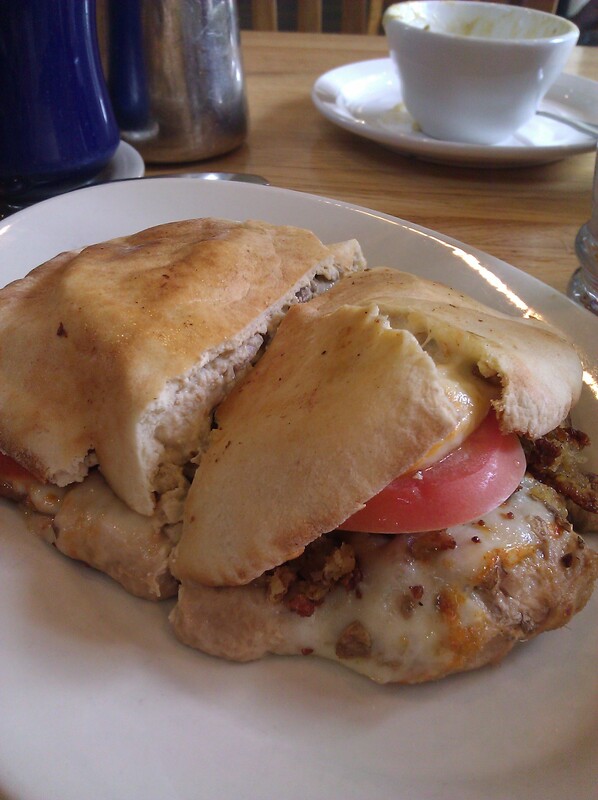 Vegetarians rave about their vegetarian choices like the hummus, falafel, tempeh and seitan. 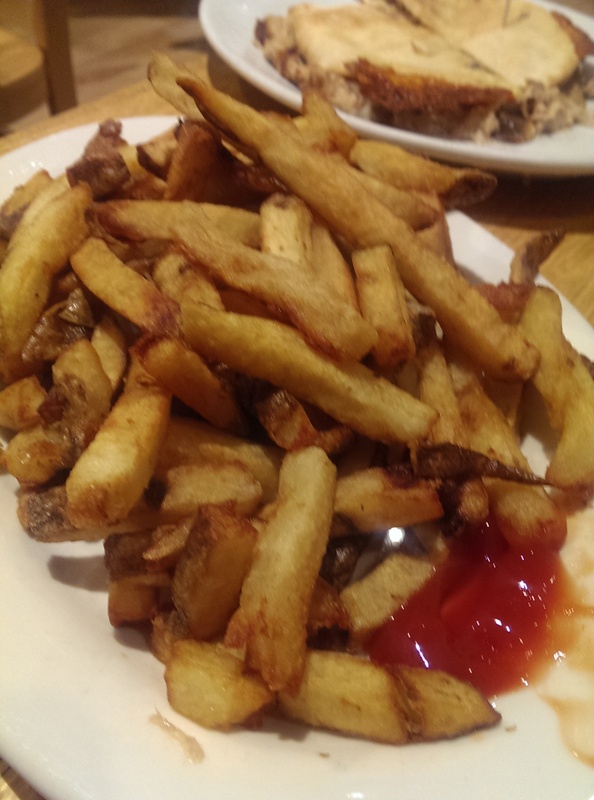 Tommy’s was recently voted the Best Fries in Cleveland. I don’t know if I would go that far (Bar Cento gets my vote), but they were better than average. They are intentionally unsalted so you can salt them however you want. Tommy’s also has great breakfasts. I get a kick out of seeing young college-age men stuffing their face with waffles buried in strawberries and whipped cream. 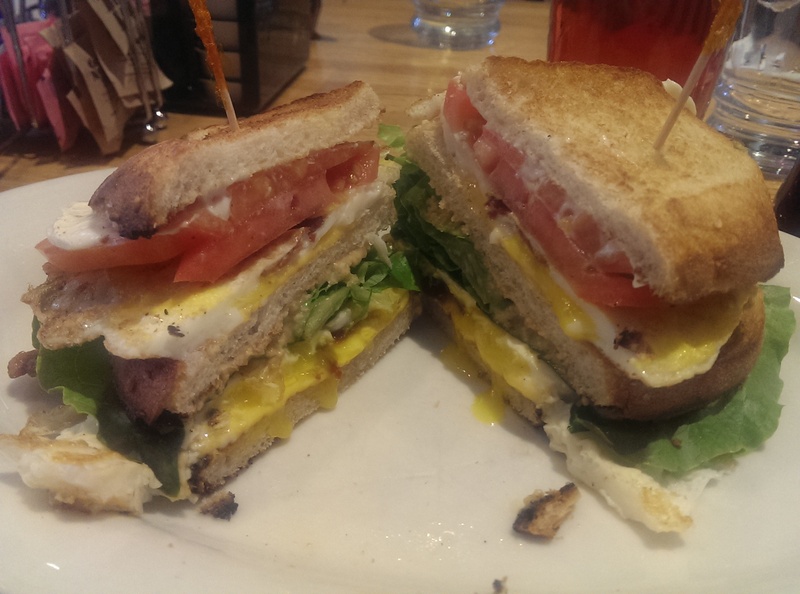 One interesting choice is the Elsie Combo, which features two fried eggs, two strips of bacon, mayo, American cheese, and their homemade peanut butter made into a triple decker sandwich on your choice of toast. The first time I ordered it I was really scared, but the waitress assured me I would like it. And she was right. The mayo and the peanut butter actually went really well together and complemented the eggs and bacon. If you want to try something different, give it a try. Their omelets are also delicious and plentiful. They also turn the restaurant over to the Heights Arts group from 10-2 on January 1st for an annual all-you-can-eat pancake breakfast benefiting Heights Arts. Volunteers serve the masses pancakes, eggs, sausage patties and links and vegetarian options as well as juice, coffee and tea for around $10. Tommy’s has been hosting the benefit pancake breakfast since 2001, when owner Tom Fello first offered to help raise funds for the Coventry Arch, located at the intersection of Coventry Road and Euclid Heights Boulevard. It’s a fun time and a good local cause. Consider checking it out this week. There’s something for everyone at Tommy’s. I have never made it to Tommy’s. Shame on me!